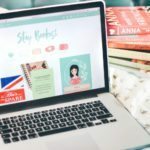 I’ve been lacking ideas on what to post today so I thought I might tackle something that’s been a prominent thing in the book blogging community for a while now: blogoversaries and blog celebrations! With so many book bloggers celebrating their blog birthdays/anniversaries this month, myself included, I wanted to analyze and discuss why and how people do their blog celebrations! In real life, I’m not actually big on celebrations. I love birthdays and every other occasion where I can get gifts (who doesn’t love them right?) but I very rarely celebrate them with a flair anymore. A nice brunch/dinner and greets from my friends already make the day special. However, I have come to look forward to blog celebrations! I’ve actually never heard of them until I was a book blogger. I don’t know how they became a thing, but I loved the idea of giving back to readers instead of getting something from them! I did for the first time when I turned 18 last year and I threw a blog party. My post was simple- just thanks and a flood of GIFs + a giveaway! I threw another giveaway when my blog turned six months last December and shared a list of my top six reads that year. I love that blog celebrations are a way to share something with everyone, express your love and appreciation for your readers especially. It’s also a way to be creative, to be able to think of something fun for your blogoversary for example. I’m already excited for mine this month, despite the fact that my post is not yet planned. (I’m not a planner, okay?) I just hope it will be a blast! I love the idea of blogoversary celebrations, but I don’t do them. I did it my first year and loved it. I had like a week full of special posts and did three huge ARC giveaways (international). But I paid like £100 in shipping for those three boxes (to three different people) and two of the three never made it. :( I think that really put me off ever doing international giveaways again. Or giveaways period, really. I think the other reason is just that I’m not a big party person. I don’t celebrate my birthday in real life, and this year I just didn’t even think to celebrate my blogoversary. I am super excited for all the blogoversaries happening this summer! There are so many including my blog which is on July 29. In real life, I like going to parties, but I don’t go like every weekend lol. I’m kind of laid back some times. For my graduation and 18th birthday, I just had a nice time with my family (I feel very lazy at times therefore I don’t want any parties haha). Keeping note of your blogoversary then! And yes, I’m very excited about everyone else’s blogoversaries too! And I totally get feeling lazy about parties. I cannot be bothered for the life of me to want to entertain guests. It’s an introvert’s nightmare. I don’t usually hold giveaways (much) but for my bloggerversary I’m going to go all out Sparkles, streamer and balloons and cake for all!!!!! Well virtual cake anyway. I think it’s awesome how we all pass books around I’m the community and I want to be part of that. I’m a stay at home mom so I have no income otherwise I think I’d do giveaways more and I LOVE gifs. I can’t go a apost with out at least one!! I have celebrated my 2 blogoversaries. 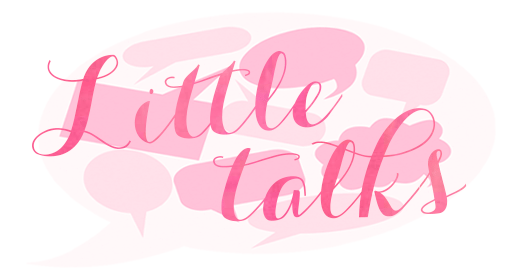 I always like to bring a more personal touch to my blog, so the first time I shared things like stats, the second time I shared more things about myself :) I also got myself a new design! I think it’s fun to do something about it. I love them (and really, celebrations in general!) I will definitely be doing one, albeit probably a small one, for mine in October. My first blogoversary is the day before my son’s first birthday (yeah, I started my blog the day before he was born. Complete fail.) so I need to remember to schedule it all in advance. Oh, and I am really bad at parting with books (and there is no way I paying a ton for shipping anyway! ), so I will probably just do a Book Depository thing. I think it’s totally okay not to do blogoversaries, especially since you’ve already been blogging for so long! I don’t imagine me doing it every year, but I’m not really sure how long my blog will last either so there’s that! My blog is quite young, (and I’m quite young too) and I will be celebrating my blogoversary on the May 21st. My one year blogging aniversary is in September and I started “collecting” things about a month ago. I am going to do four giveaways, each having something to do with me or my blog. I can’t afford to do them every six months like some bloggers do, I even saw one blogger doing a giveaway for her one month anni!! I won’t be doing anything on my blog for my birthdays, but I will certainly do a blogoversary giveaway every year. Oooh, exciting! I don’t think it’s practical to do it every six months or every month either- I mean you’re bound to get broke from doing the giveaways along those celebrations! At least, I’d be. I’m not sure I’d do it every year actually- maybe every other year? We’ll see! Thanks for sharing your thoughts! Understandable! There is much pressure for bigger events, yes? I love hearing your opinion on this, Charlotte! My first blogoversary was a few days ago and I didn’t do anything, mostly because I forgot. I knew it was coming up and I knew what day it was, but I just never got around to planning anything in advance and on the actual day, I was busy. I think I’m in the minority, but I don’t celebrate my blog’s birthday. I think it’s great that other people get so excited about celebrating their hard work, but it’s just not my thing I guess. I’m big on parties and celebrations IRL though. When it’s my birthday, I go ALL OUT. I did a month-long giveaway for my blogiversary in March. I didn’t do much special in terms of content. (For my six-month I did sort of a summary/highlight of what I’d done on my blog so far, but that seemed like it would be too long and too boring this time around). But I knew I wanted to run a giveaway, and I wanted to make it something for my followers, those who’d been with me for a while, not those who just jump in and do what’s required for entries and then never come by again. So the main way you earned entries was just by commenting throughout the month. I figured this would give true followers the best chance, and encourage those just finding me to explore the blog a bit, while at the same time weeding out those who were just in it for the free books… all without actually excluding anyone. It was a lot more work on my end than just using Rafflecopter, but I think it was worth it.